With an extensive range of mattresses, bedroom suites, pillows and bedding – you’re sure to find the item you’ve been looking for at the best prices available. 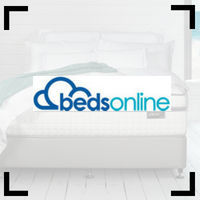 BedsOnline have all the best brand mattresses and bed frames at competitive prices. Sealy, Therapedic, Sleep Maker & more. The Sensus Luxury Dream is has a nice soft top layer making it very comfortable. Spinal support is also very good. Seems well built and partner disturbance is minimal. The Sensus Mem Tex has very good spinal support coupled with a nice comfort layer. A nice mix of comfort and support. Seems well built. The Sensus iGravity is possibly the best value mattress in Australia. For under $1000, build quality is excellent. It has a subtle amount of spring. We believe the Avatar mattress is a very strong contender in the mattress in a box market. It is comfortable and supportive with a low amount of partner disturbance.